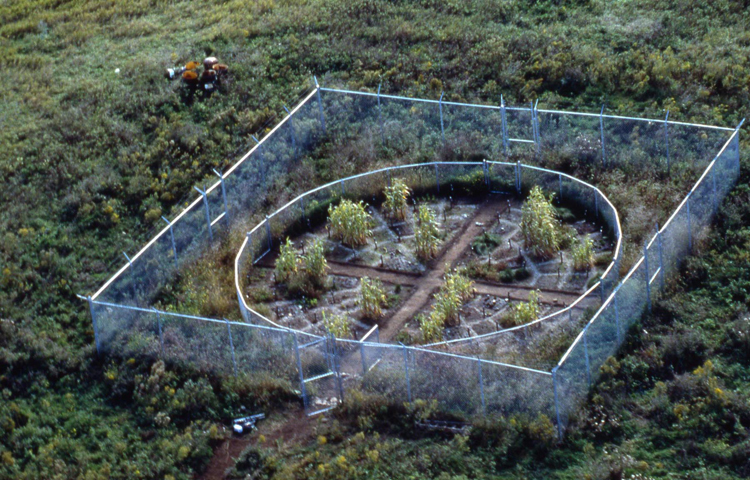 The artist in collaboration with scientist Dr. Rufus Chaney created a 60 square foot field test in Minnesota designed as a garden, using special hyperaccumulators plants - sweet corn and bladder campion - that can draw heavy metals like zinc, copper and lead from contaminated soil through the plant's biomass. 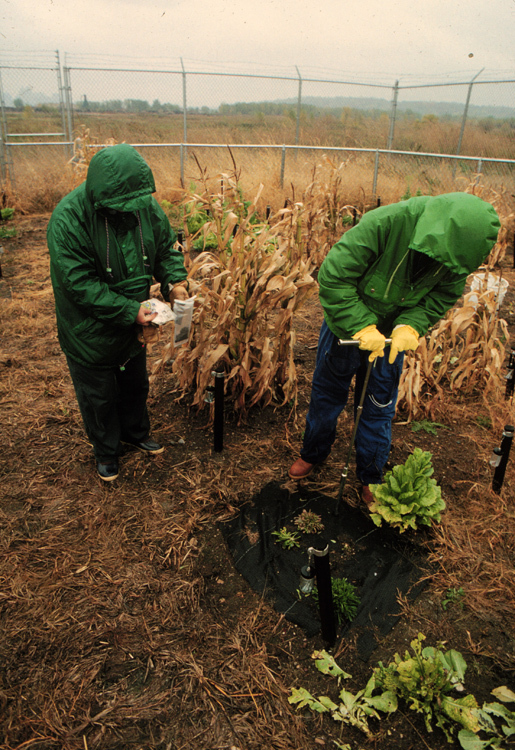 The project demonstrates that ''green remediation' could be a successful low-tech alternative to expensive and ineffective remediation methods to reclaim contaminated soil and toxic waste. Plants absorb heavy metals through their leaves and roots, and toxic elements are stored in the plants. When plants are mature they are harvested, dried, ashed and analized through a reclamation process, which extracts the metals in order to be re-sold to cover the cost of healing toxic landfills. We live in a world of pollution with heavy metals saturating the soil. This pollution could be carved away, and life could return to that soil and then a diverse and ecologically balanced life. Cleaner soil. Significant media attention to Dr. Chaney’s research; 23 years and several test sites later, phytoremediation is becoming commercially viable.